We are involved in the following topics on robotics, dynamics and control. We cooperated with a motion capture measurement in a TV program “Tokyo Athlete Part2” that was broadcast by NHK on Dec. 9th. 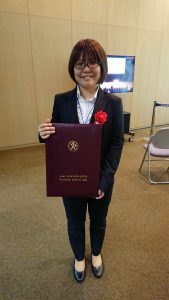 Dr. Tianyi Ko presented at IEEE-RAS HUMANOIDS2018 in Beijing. 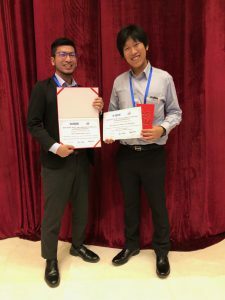 His paper was selected as one of the best interactive paper award finalists, and we were awarded Mike Stilman Paper Award. 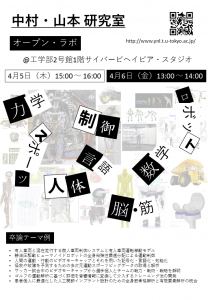 Mr. Takuya Ohashi presented his work on VMocap in IROS2018. 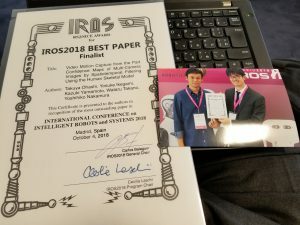 His paper has been selected as a finalist of the best paper award. 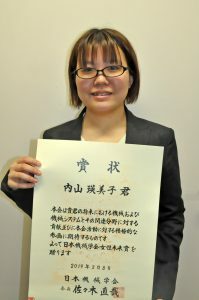 Ms. Emiko Uchiyama was awarded RSJ Research Incentive Award. 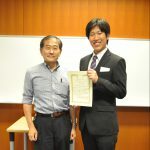 Mr. Tianyi Ko was awarded Young Investigator Fund Best Paper Award in the 24-th Jc-IFToMM Symposium on Theory of Machines and Mechanisms, which was held at University of Tokyo on June 1. 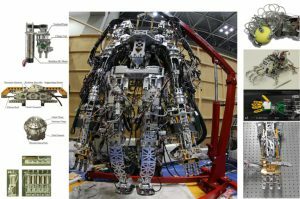 Tianyi Ko , Kazuya Murotani, Ko Yamamoto, Yoshihiko Nakamura, “WHOLE-BODY MOTOR CONTROL PERFORMANCE EVALUATION OF THE HYDROSTATICALLY DRIVEN HUMANOID HYDRA (in Japanese),” in Proceedings of the 24th Jc-IFToMM Symposium, 2018. On May 15, we held a press conference to announce VMocap, a new video motion capture system.